STUNTING in Pakistan is a tragedy of epic proportions; a tragedy that we can, and must, overcome. 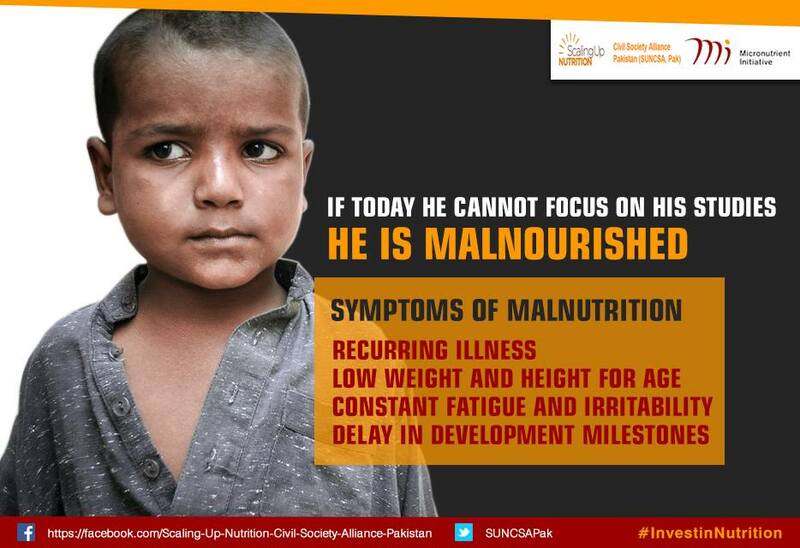 Nearly half of Pakistan’s children — 44pc — suffer from stunted growth (National Nutrition Survey 2011). This is the third highest number of stunted children in the world. This means that 9.6 million Pakistani children have experienced chronic nutri­tional deprivation in utero or during early childhood. Their potential has been forever ‘stunted’ by insufficient nutrients, inade­quate health support and, ultimately, inade­quate care by society. It is time to break this vicious cycle of lost opportunities, malnu­trition and poverty. Pakistan’s future hangs in the balance. Stunting is not just about a child not reaching his or her normal height. It irre­versibly curtails physical and neurological development, diminishing mental ability and learning capacity. It leads to higher dropout rates, poor academic achievement, and lower work productivity. Stunting and undernut­rition are responsible for half of all child deaths globally. A large number of stunted children not only limits their individual potential; it limits the potential of society as a whole. As I consider the harrowing figures on stunting in Pakistan, I recall the words of Jim Yong Kim, president of the World Bank, at the World Bank/IMF spring meetings in April 2016: “The time has come to treat stunting as a development and an economic emergency”. The challenge lies in breaking the cycle of stunting. Women who are themselves malnourished tend to bear stunted children, perpetuating an intergenerational cycle of ill-health and exclusion. Proper nutrition during the first 1,000 days of a child’s life — from conception to a child’s second birthday, when 80pc of the brain’s capacity develops — is a must. Chronic malnutrition irreparably damages brain development. Good nutrition means healthy children, a brighter future and lasting prosperity. Stunting limits the potential of society as a whole. Improving child nutrition is one of the best investments that Pakistan can make. The economic cost of undernutrition is significant both in terms of lost national productivity and economic growth. Studies show that adults who are stunted as children earn 20pc less than those who are not; they are 30pc more likely to live in poverty, and are less likely to work in skilled labour. A report by the Bill and Melinda Gates Foundation finds that every “$1 invested in stunting reduction generates about $18 in economic returns”. Countries that have reduced stunting are a testament to the value of a comprehensive approach. Behaviour change communication strategies, social and community mobilisation, and better maternal nutrition and health are key. Early and exclusive breast feeding for the first six months of a child’s life is imperative, setting the foundation for improved child feeding by ensuring essential nutrient intake. Peru is a case in point. In 2005, 28pc of Peruvian children were stunted. Eight years later, Peru cut this rate in half through comprehensive policies and programmes, adequate budgets, and a strong community role in monitoring each child’s growth. Wherever such an approach is followed in Pakistan, its impact has been tremendous. I recently visited Sujawal, Sindh, where the prevalence of stunting exceeds 55pc. As I sat with a group of 40 women in a fishing village, they told me how they changed the way they look after their infants, especially in those first crucial days. They spoke of how they start breastfeeding early and exclusively, how they have learned from their Lady Health Worker how to look after themselves and their children, how improved hygiene has made their families healthier. They told me of how international support has provided supplemental enriched food and micro-nutrients which they otherwise lacked. I was both heartened and chastened by their words. Heartened because they showed me clearly how improved nutrition can transform lives for the better. Chastened be­cause, so far, such prog­rammes only reach a small percentage of those who need them in Pakistan. Preliminary research by the Aga Khan University reveals that stunting rates are 10pc lower in such areas compared to regions where interventions have yet to take place. Pakistan faces a colossal challenge given the sheer numbers of children afflicted by stunting. But if this challenge is met, the economic and social gains for all the people in Pakistan would be boundless. Pakistan’s success in reducing polio cases to nearly zero shows us what can be achieved through strong leadership and action by key actors — the government, international partners, communities and parents them­selves. There is no reason why it cannot make similar progress on reducing stunting. With the right prioritisation, the right programmes and the right support, Pakistan can make sure that no child suffers from stunted growth. Pakistan needs to invest now, to nurture future generations and progress towards the Sustainable Development Goals. If the country does that, by 2030, stunting will be a relic of the past which no longer blights the lives of any of Pakistan’s children. The writer, Neil Buhne is the United Nations resident coordinator for Pakistan. This article was originally published in Dawn, August 17th, 2016. View the original article.